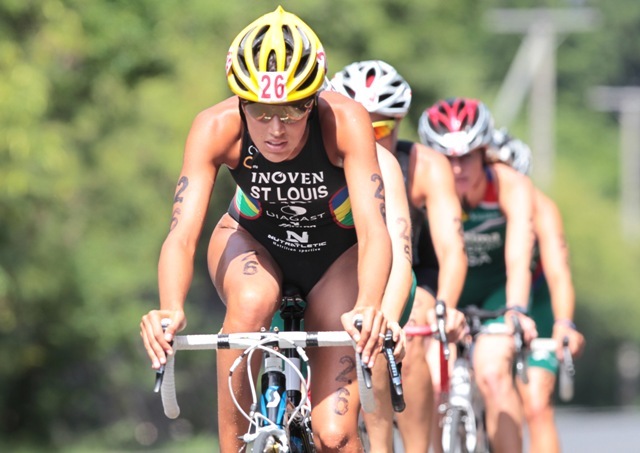 South Africa will be aiming for the two guaranteed London 2012 Olympic spots allocated to the elite women’s and men’s winners of the 2012 Le Morne ATU Triathlon African Championships this weekend. Each of the five designated Continential Championships before London are Olympic qualifying events, not for individual athletes, but for their National Olympic Committe. 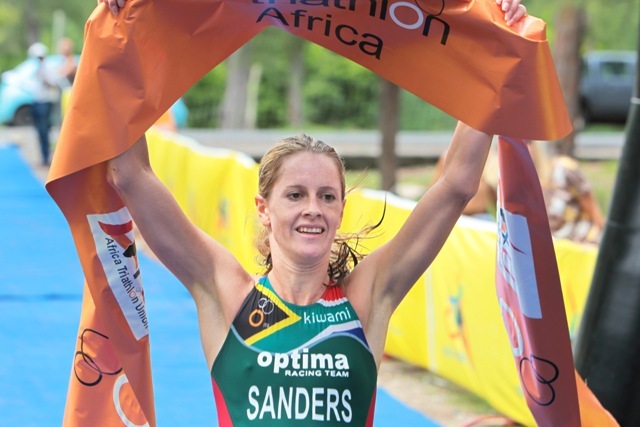 This weekend places will be allocated to the respective National Olympic Committees of the Elite Men’s and Elite Women’s winners, and reigning African champions Kate Roberts and Richard Murray are the favourites to secure those positions for South Africa. 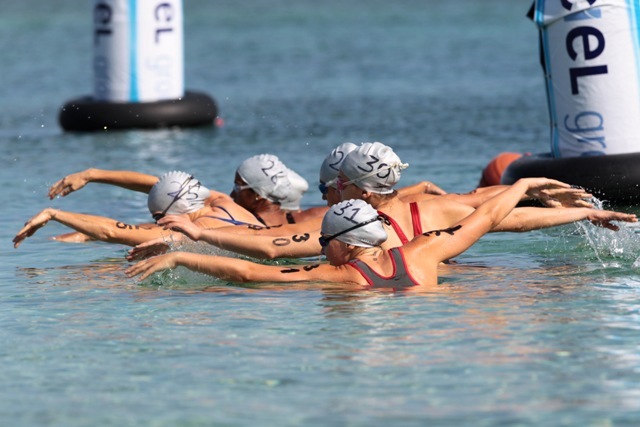 Le Morne is the location for this year’s African titles on the beautiful island of Mauritius. Athletes begin with a mass beach start for a 1.5km two-lap swim in the warm waters of the sea lagoon. The 40km bike course consists of three laps of a mostly flat course with some hills and corners. The four laps of the 10km run will be contested on a flat tar road. In the Elite Women’s race, Roberts and Gillian Sanders will be the favourites. 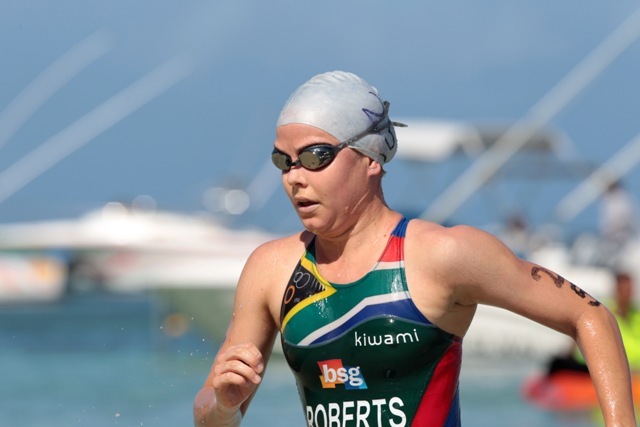 Roberts has held the title of African champion for the past two years and also represented South Africa at the 2008 Beijing Olympic Games. Sanders took silver in the African Championships last year, but will receive additional pressure this year from teammate Carlyn Fischer. 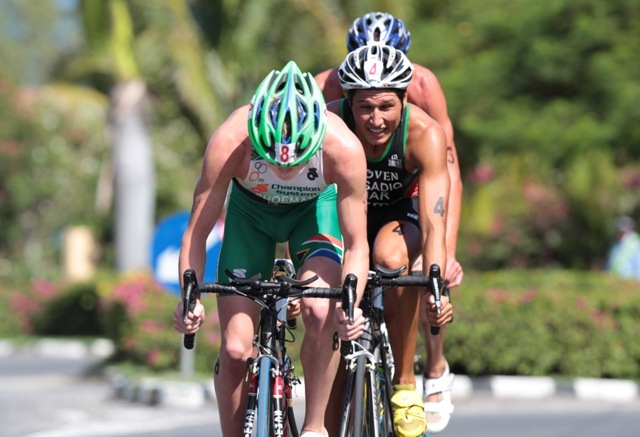 Fischer claimed gold in triathlon’s first All Africa Games appearance last year, and also claimed silver in the U23 2011 African Championships and recently won the 2012 ITU Sprint Triathlon African Cup racing as an elite woman. Under23 reigning African Champion, Fabienne Aline St Louis, also joins the elite field for 2012 competing for Mauritius. 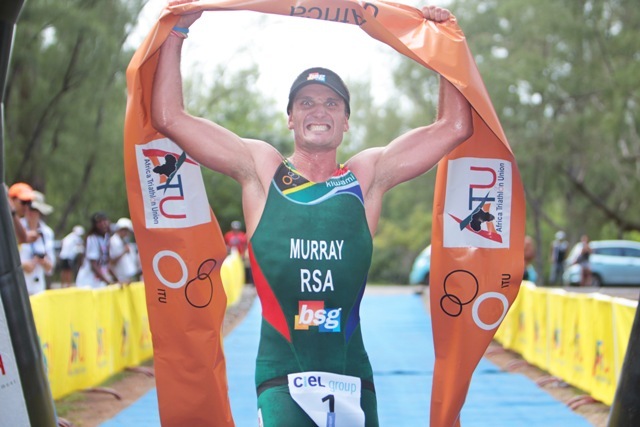 The favourite in the men’s elite race is the African continents highest ranking triathlete, Murray. 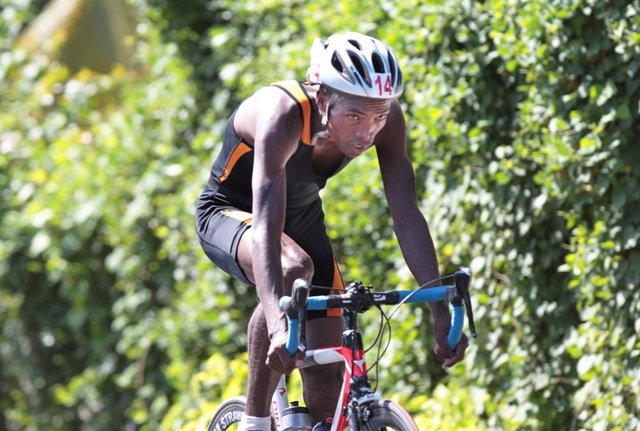 He is the reigning African fhampion, won his first World Cup medal in Huatulco last year and enters Le Morne following recent victory at the 2012 Cape Town ITU Sprint Triathlon African Cup. A further number of South Africans will also be fighting for the elusive Olympic spot for the nation, including two-time African champion and ITU World Cup winner Hendrik De Villiers, 2011 All Africa Games winner Erhard Wolfaardt, former U23 African champion Wikus Weber and Travis Johnston. 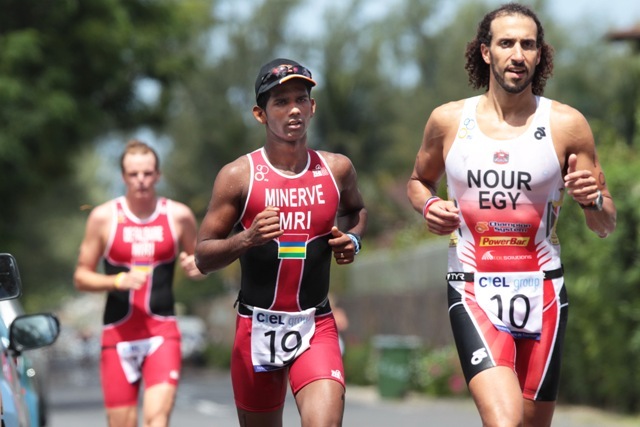 But those aiming to take that Olympic spot off South Africa can’t be discounted, including Mehdi Essadiq (MAR), a regular on the ITU World Cup elite circuit since 2007. Essadiq is coming off a fifth place in the 2012 Port Elizabeth ITU Triathlon Premium African Cup just two weeks ago, but crucially he finished above De Villiers and Wolfaardt. 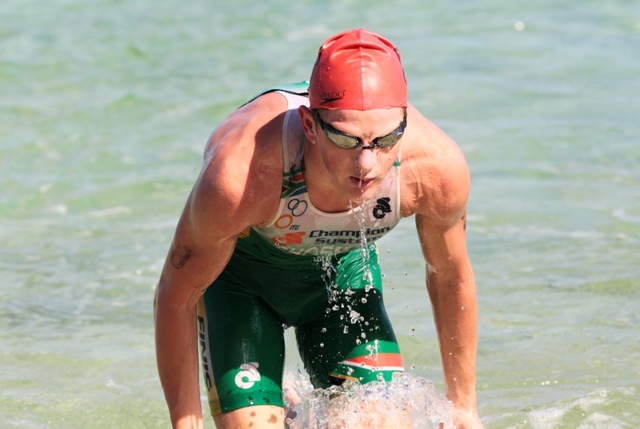 Zimbawe’s Christopher Felgate will also figure, he is a 2008 Beijing Olympian and a regular World Cup competitor. Local hope Benoit Girodeau will also contest the field, alongside Egyptians Ahmed Zaher and Omar Nour. The men’s Under23 race for gold will see mainly Mauritian field including Valery De Falbaire from Mauritius who just missed out on an African Championship U23 medal last year. The junior women’s race is also dominated by home country athletes among which is Emilie NG Foong Po winner of the 2010 Durban ATU Triathlon African Championships (14-15 Female). The junior men’s field is a similar story including 2011 silver medallist in the event, Matthieu Mamet (MRI), but Wian Sullwald (RSA) is also on the junior men’s start list and the Youth Olympic Games competitor will be favourite after taking his first Elite Men’s South African championship in Port Elizabeth two weeks ago. 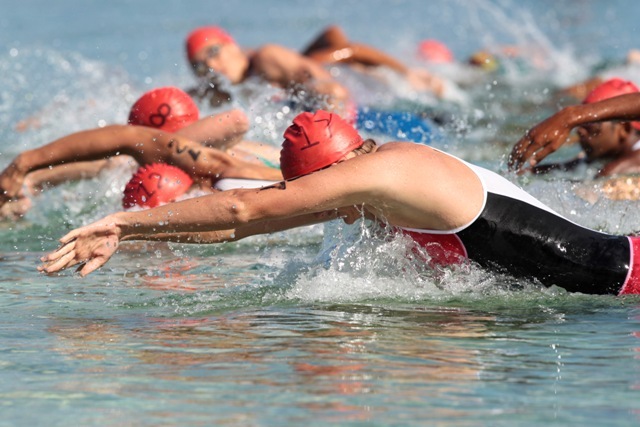 The 2012 Le Morne ATU Triathlon African Championships will take place on 31 March 2012 with the Elite Men’s start at 9:00am and the Elite Women’s at 9:10am. 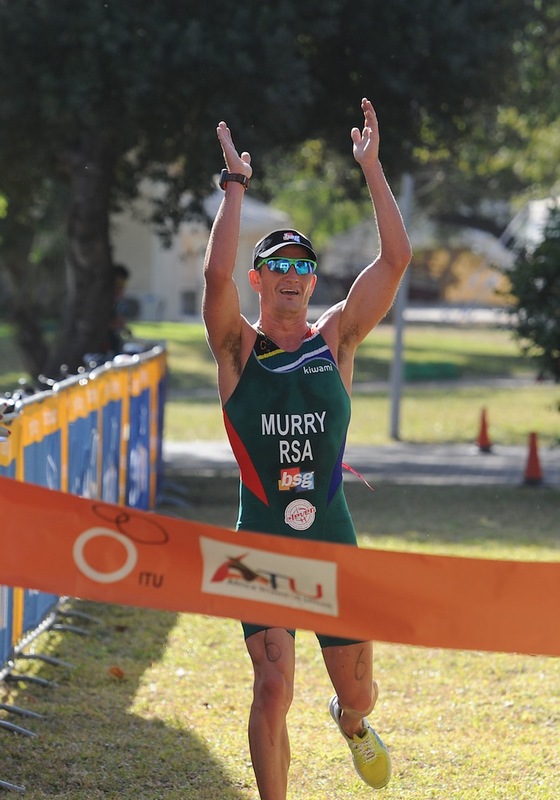 South Africa's Richard Murray and Carlyn Fischer both started their seasons' with a win, and a South African national sprint title, at home in the 2012 Cape Town ITU Sprint Triathlon African Cup on Sunday. 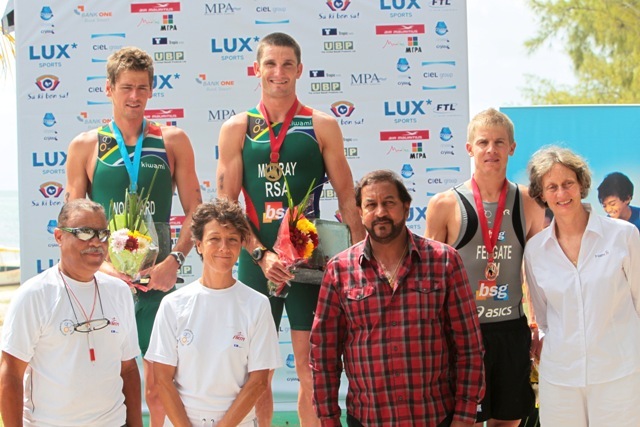 South African's Erhard Wolfaardt and Carlyn Fischer have won the first triathlon gold medals in All Africa Games history, after the sport made a stunning debut in Maputo, Mozambique today.